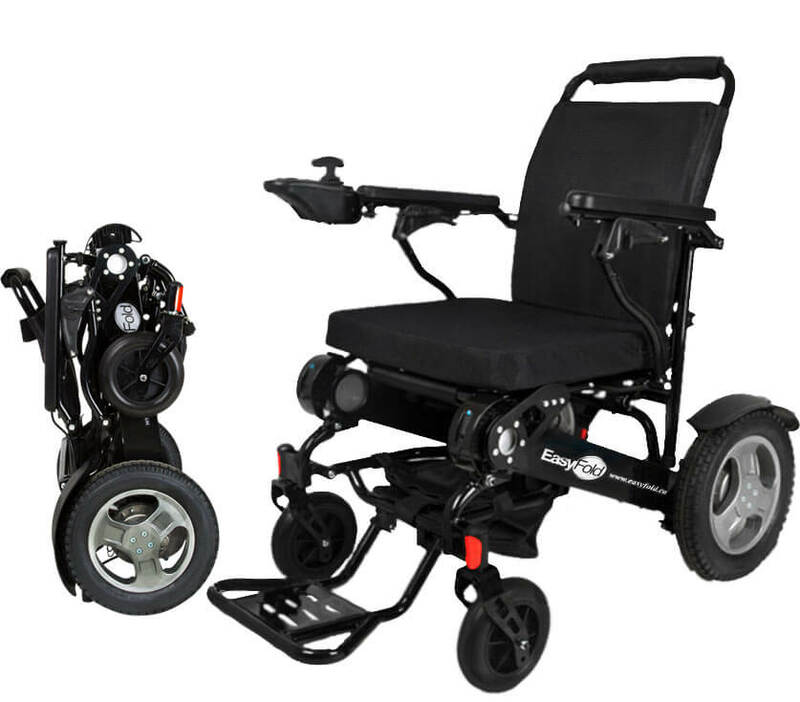 Why Canadians Love EasyFolde Lightweight Folding Electric Wheelchair? Most Electric Wheelchairs are heavy, difficult to fly with, expensive, and can be awkward to get around with in different environments. That all changes with the EasyFold, the lightweight portable power wheelchair. 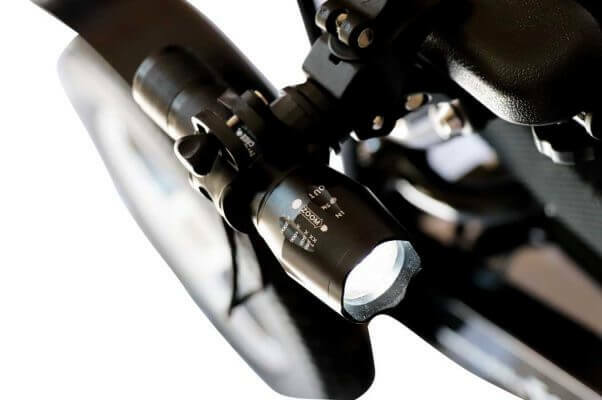 Light enough to place in the trunk of your car, easy enough for anyone with hand mobility to maneuver and portable enough to fly with. 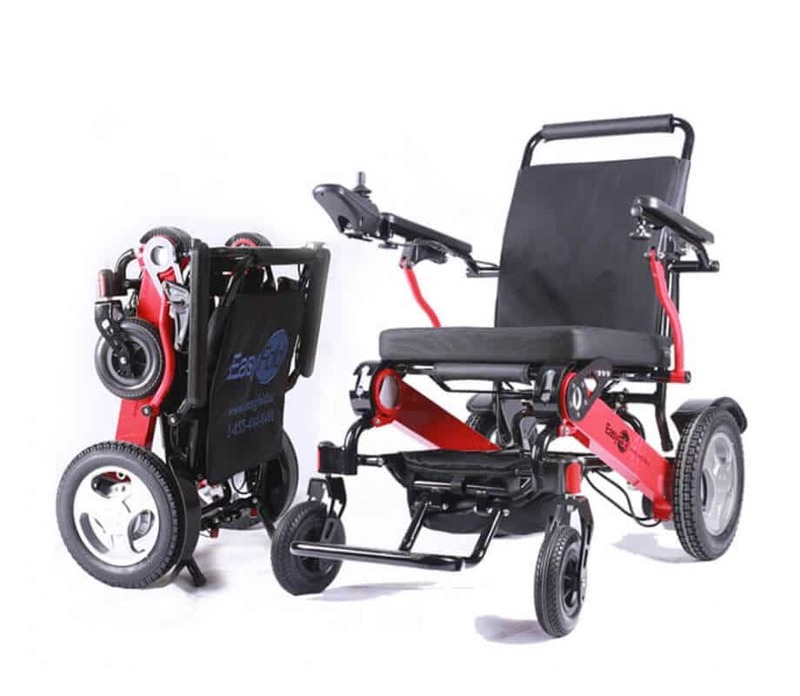 These wheelchairs offer you what others in the past couldn’t the “Freedom” to get around quickly, efficiently with enough power to take you up and down hills on different surfaces like gravel and grass, safely and easily. 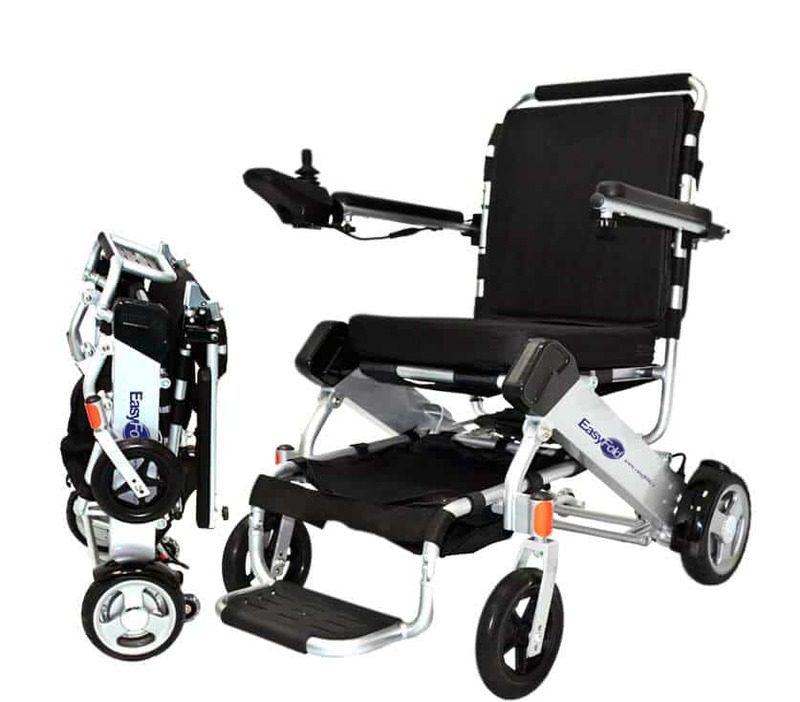 These mobility wheelchairs take away the difficulty of some heavier chairs and give you back the mobility to be independent, comfortable and affordable. Easily maneuver indoors and outdoors and can even climb hills at a 12-degree angle, one of the steepest angles on this type of product. Drive with confidence with an intelligent magnetic braking system, robust aerospace alloy frame, 5″ ground clearance and anti-tip stabilizers. Our models weigh as little as 42 lbs and are able to carry up to 365 lbs! The EasyFold meets FAA and DOT regulations for safe air travel. When it is equipped with our 10 Ah capacity battery you can drive yourself all the way up to the airplane. When not in use simply fold and store the EasyFold in a hotel room or cruise ship cabin closet. 3 Year Warranty to ensure you can ride with confidence. With our EZEE 30-Day Return Policy, if you are not satisfied with your purchase, for absolutely any reason, simply ship it back us. 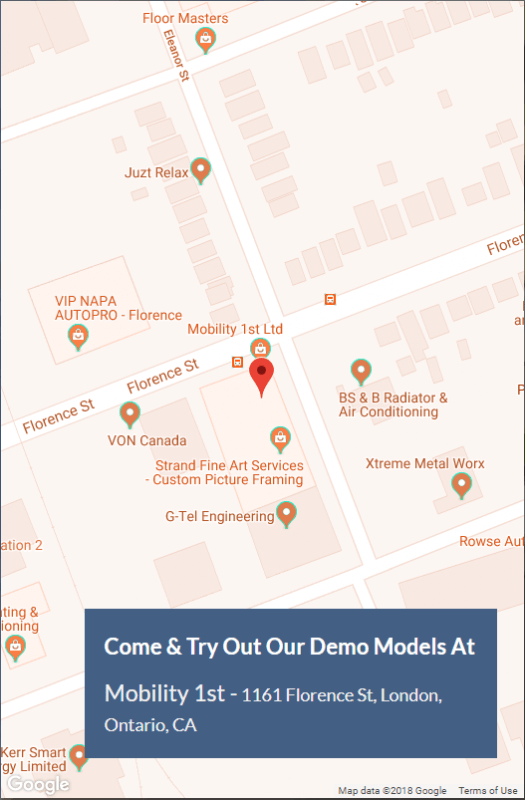 Want to hear from someone? Please don't hesitate to contact us or stop in if you're in the Greater London Area.